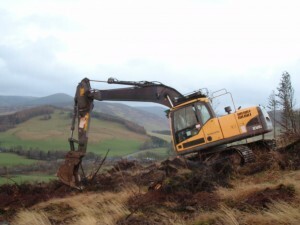 Christmas 2014: An excavator preparing a restock site for planting this season. 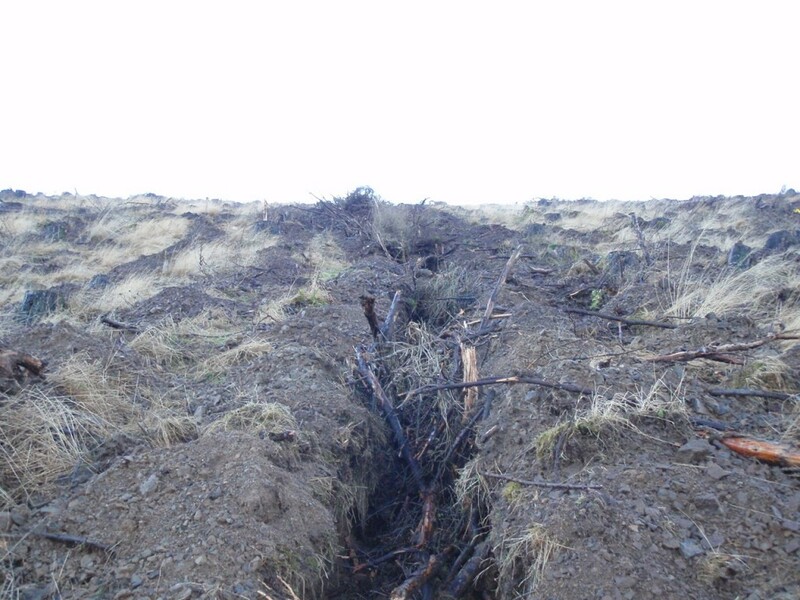 Trench mounting or 'ditch and dolloping' is when the excavator moves up the brash-mat left over from the harvesting operation, digs a narrow trench and with this soil creates spaced mounds to the required stocking density on which to plant the new trees. 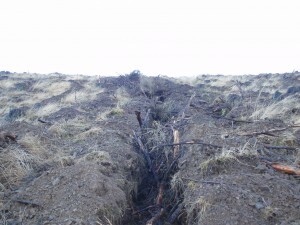 The brash mat is pushed and compressed into the trench where it rots down fairly quickly. The site looks neater afterwards. 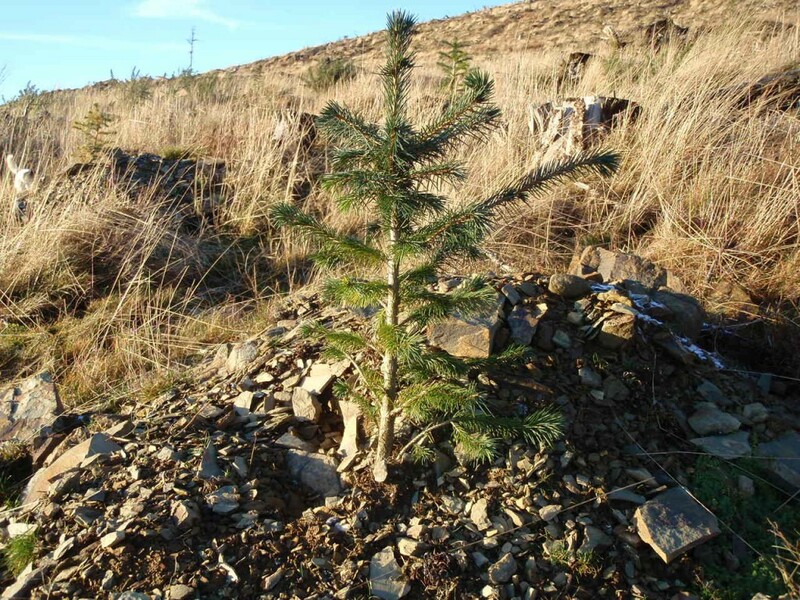 There are microsite benefits to mound-planted trees including; reduction of competition by weeds thereby lowering overall establishment costs, increased root temperature (bare soil absorbs more daytime heat) resulting in good root growth and better drainage. All time-consuming work but the increased quality and value of the timber in the end makes it worthwhile.